Heidelberg is a city in Germany located in the state of Baden-Württemberg. It is undoubtedly one of the most romantic cities in Germany. 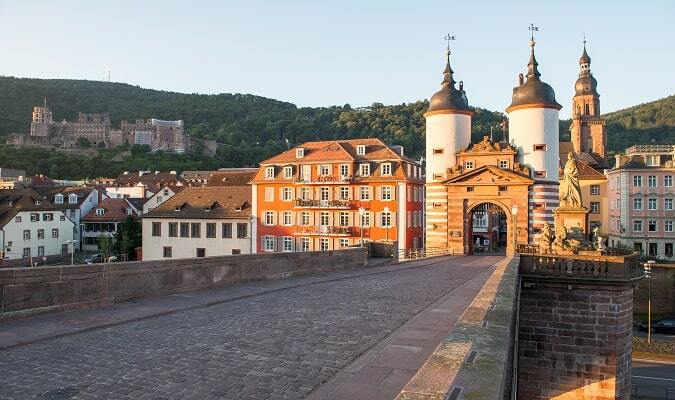 In the old town of Heidelberg you will find medieval architecture, ancient churches, boutiques, cafés and restaurants. Explore the Hauptstrasse and the Marktplatz, visit the Heiliggeistkirche church and climb the tower to have beautiful views of the city. 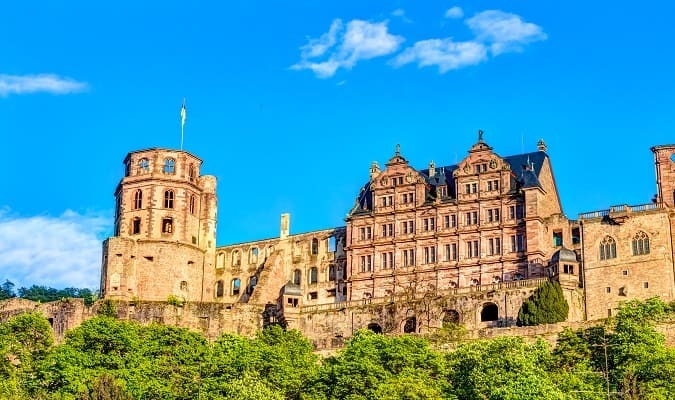 The Heidelberg Castle is a landmark of Heidelberg. It is located 80 metres up the northern part of the Königstuhl hillside. The castle can be reached by the Bergbahn. It offers beautiful views of the city and Neckar Valley. The Karl Theodor Bridge known as Alte Brücke is a stone bridge that crosses the Neckar river. The bridge connects the old town with the district of Neuenheim. The bridge was built in 1788. The Philosophenweg is a 2 km road opposite to the Heidelberg Castle and Neckar river. It offers scenic views of the old town and castle. 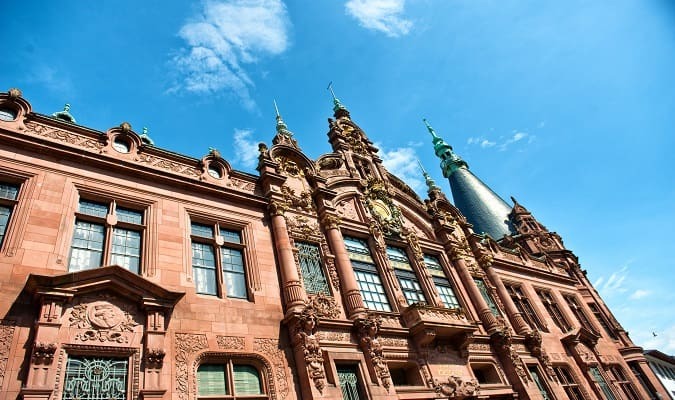 The University of Heidelberg is a public university founded in 1386. It is one of the most prestigious in the country and the third university established in the Holy Empire. The Königstuhl is a 567.8-meter-high hill located in the Odenwald mountain. It offers spectacular views. The access is via the same funicular that takes the visitor to Heidelberg Castle. The Heidelberg Zoo is located on the north bank of the Neckar. It has more than 1,100 animals, covering about 250 species. 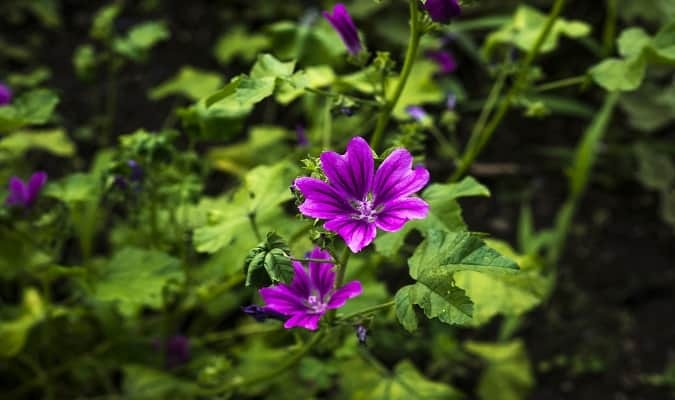 The Botanical Garden is one of the oldest and largest in the country. It is maintained by the University of Heidelberg. The Marriott is located on the banks of the Neckar river. The Crowne Plaza is located 5 minutes from the historic city center. The Holiday Inn Express is located near the Central Station. Rooms are equipped with a flat-screen TV, work desk, coffee machine. The Darmstädter Hof Centrum is located 1,3 km from the Marktplatz. Heidelberg has easy train access from various cities in Germany. Famous cities nearby: Frankfurt, Stuttgart, Mainz, Wiesbaden, Darmstadt.